I've always loved the clean lines of the IKEA VITTSJO series and the fact that they are oh so easily hackable. I bought a few before we moved with plans to use them in our office. 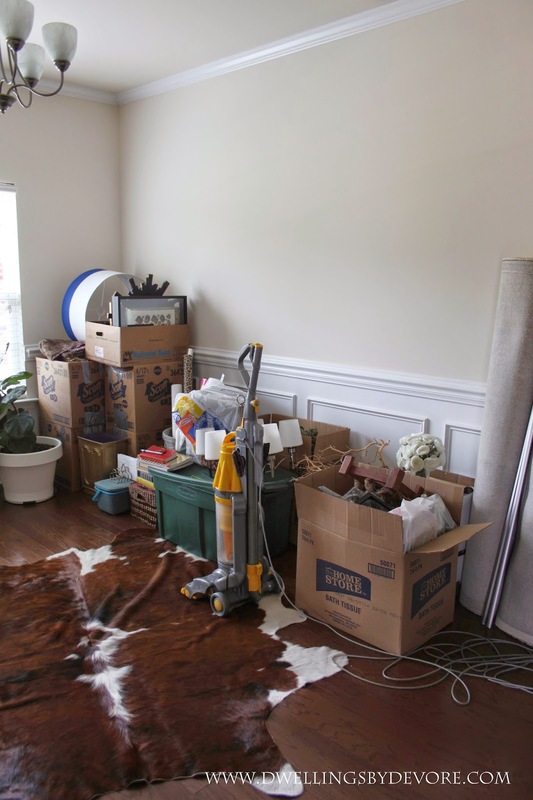 Then when we sold the house I decided to just hold off until we got settled in our new place. It didn't take me too long though to whip out my can of gold spray paint and get started on these once we were mostly settled in. Here's a what I started with. 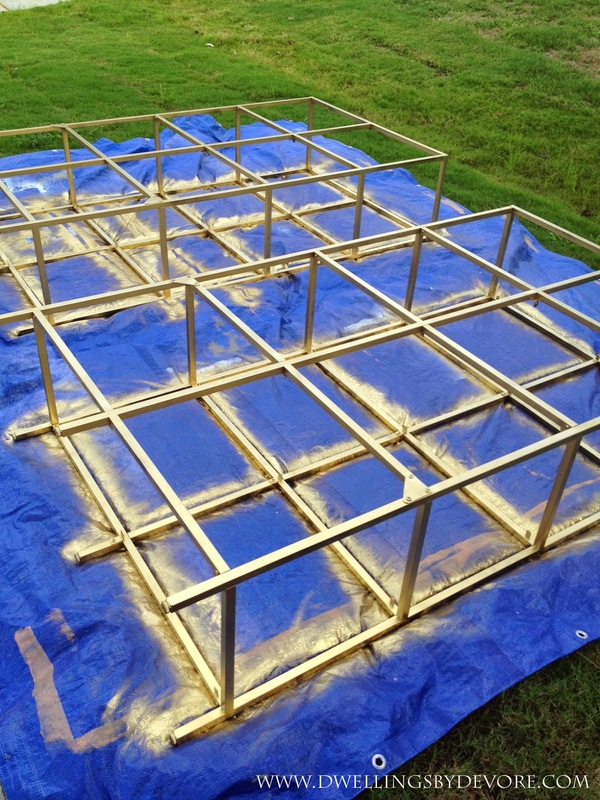 Here's what they looked like after a few coats of gold spray paint (Rustoleum Gold is my fav). I also used a clear spray coat as well to give them a little extra protection. 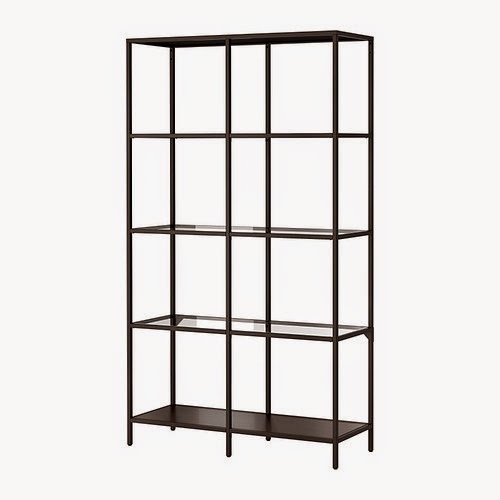 The shelves were a combination of glass and the black/brown looking "wood" that IKEA uses for a lot of their furniture. I wasn't a fan of how that was working with this piece, so I used some marble contact paper that I had leftover from my daughter's play kitchen makeover to cover the boards. It is the Marble Carrara Gray contact paper from Design Your Wall. I highly recommend this stuff. I'm always amazed at how much it looks like the real deal. It's also super easy to work with. I had trouble getting it straight on one of the pieces and was able to reposition it several times without messing it up at all. So after a little work, it turned out like this! Overall, I'm really happy with how they turned out! I think I'm most excited about all the storage and the opportunity it gives me to be more organized. I'm so much more productive when I know where things are. There is still so much more I'd like to do in this room, but I feel like I'm off to a good start. And just in case you thought I had my act together, here's what the other side of the room looks like. Just keeping it real :) We will get there eventually! Love!! 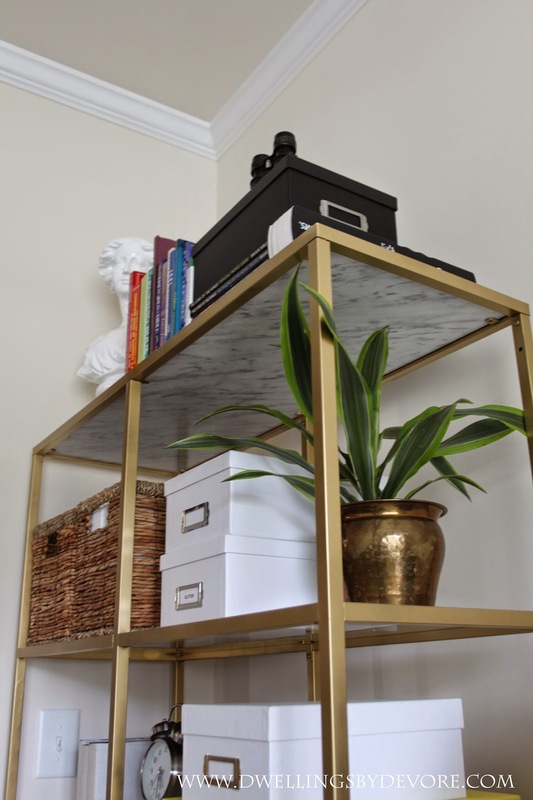 fits perfectly in your space too! ha i love how you revealed the other side too! These look great! Loving the gold+marble. We used the same one for my niece only she didn't paint it. Lazy young people:) It is such an awesome piece! 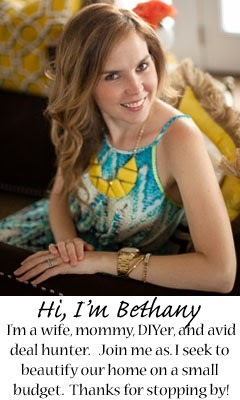 Oh my Bethany, this looks so amazing!! 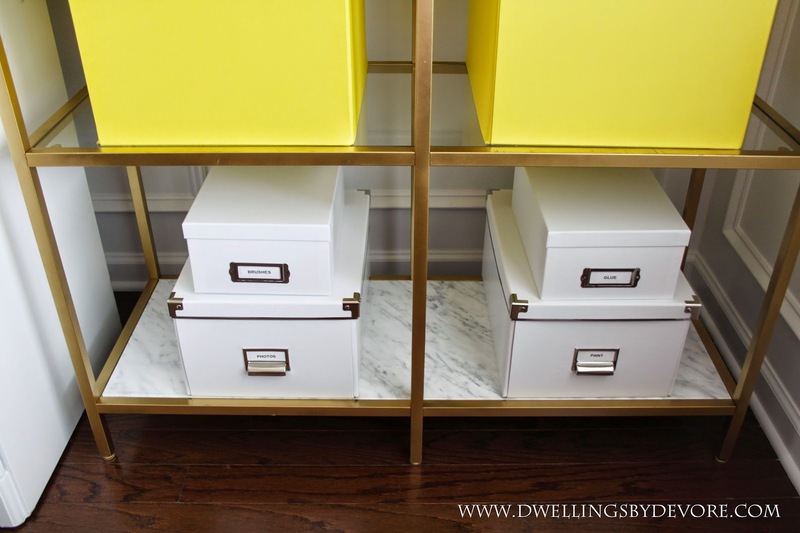 Love the marble shelves and the pretty organization! Fab styling, too! It looks amazing! And I love how it looks with the desk in between. Your styling is perfect! I love these, they look amazing. Love the gold, so perfect. 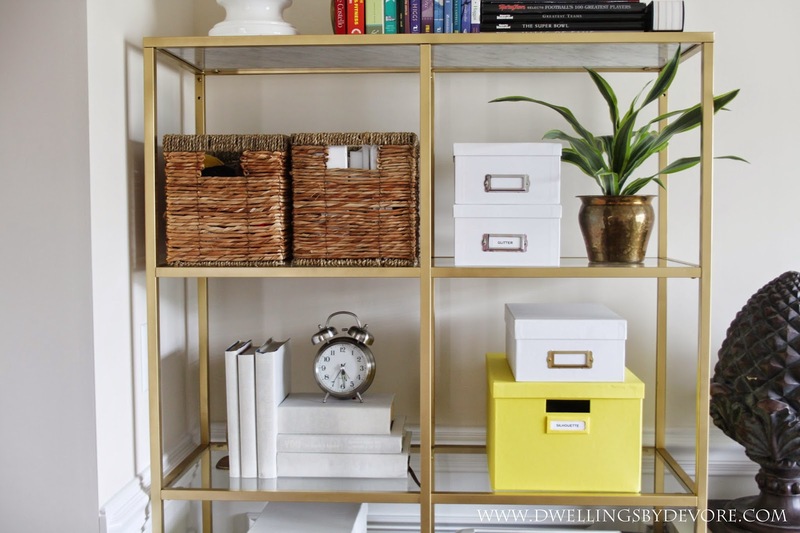 Your shelves turned out fabulous!! I love the paper you used! Your office is coming along beautifully!! I hope you're having fun in your new house! They turned out wonderfully. The marble makes all the difference! 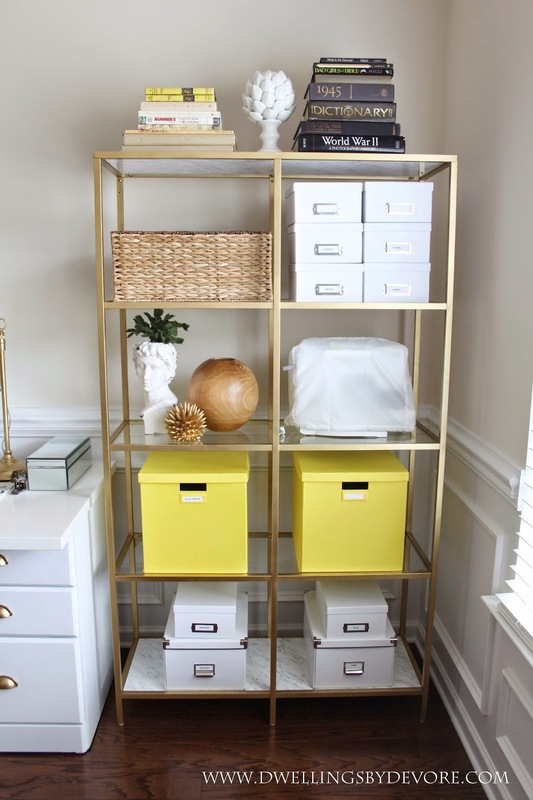 Absolutely love how you styled this IKEA classic Bethany! so crafty...such an high-end look. gorgeous update! Beautiful. I love how much storage you get, without the walls feeling heavy! And that chair rail & molding work is great. I agree with Cassie! They look so good! Great job, hon! Happy Friday! 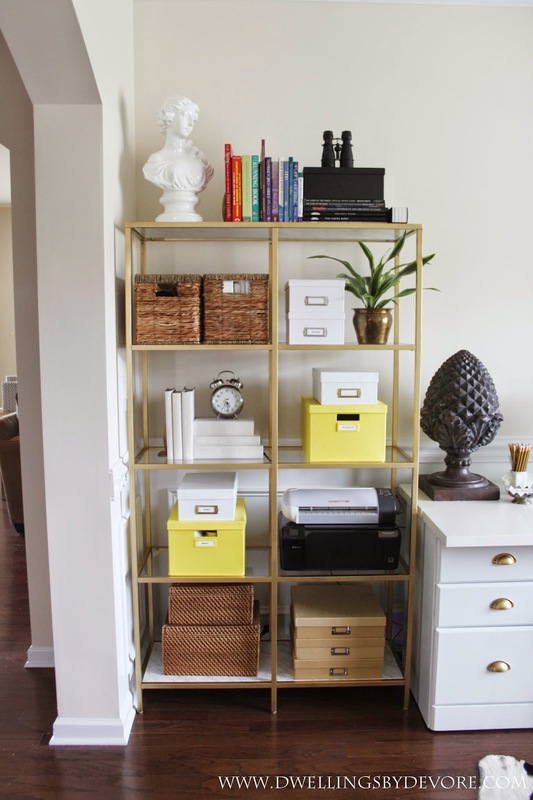 I absolutely love, love, LOVE, what you did with this Ikea hack. Thanks so much! I've always envisioned them being gold! Thanks so much Sarah! I'm loving all the extra storage! Haha, it really is so versatile and the lines are great! Thanks so much Shannon! Love seeing your new place come together! Thanks Laurie! I'm definitely having fun starting over and working with a blank slate. Thank you! I think so too, love that paper! Thanks so much Vel! It's a great piece! I know, it's so good and so versatile! I want to cover everything in my house with it! Oh that would be so pretty! Thanks Emily! You definitely need some of the contact paper, it's so good! Thank you! The topper for the desk is from IKEA, but the bases were a yard sale find. They make a VITTSJO that would look great with this too though. Thanks so much Kennesha! Hope you have a wonderful weekend! Those are stunning and the styling is so pretty! Love your colors. Was this a dining room that you're using for your office? I've always loved them, so glad we have a place for them now. The storage can't be beat! Thanks so much Jennifer! Yes, that is technically the dining room, but we never used our dining room at our old house so we made this the office. There's another room that's technically supposed to be an office but we are using it as a playroom for now. That marble contact paper is delicious! I'm ordering some ASAP! !